The Primary Elections are Happening Now! Watch your mailbox this week! All registered voters will be receiving ballots in the next few days. If you don’t get yours by July 20, call 206-296-VOTE. 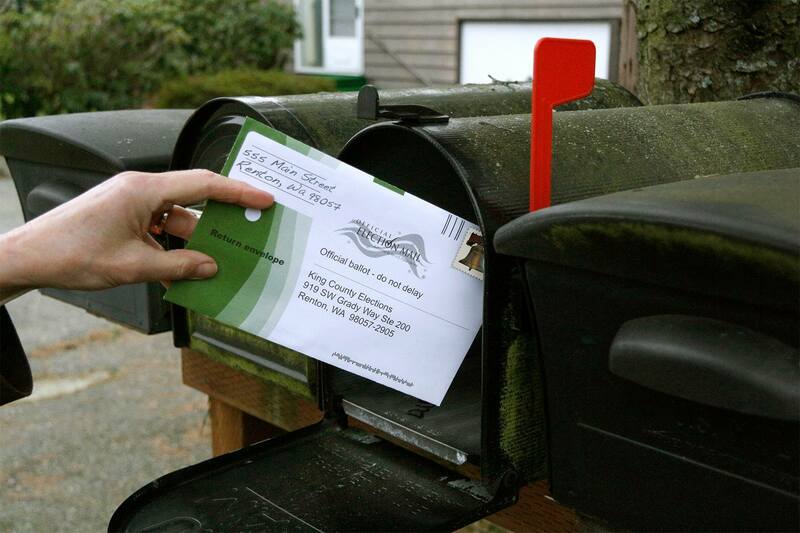 Once you have voted, you can either mail your ballot — must be post marked by August 4 — or you can save a stamp and return your ballot at a King Count Elections Drop-Off location, no stamped required. 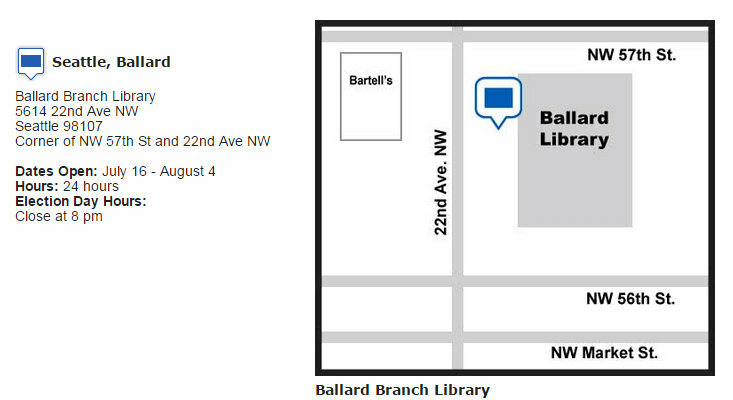 The nearest drop-off location for the West Woodland Neighborhood is at the Ballard Library, see map. By law, ballots cannot be accepted at ballot return locations after 8:00 p.m. on Election Day. The election day deadline is Aug. 4.